Light Up Your Face with Brenda Christian Cipria Gleamer. With four beautiful ribbons of mineral based color lights, this miracle product works absolutely EVERYWHERE! Pink, Chiffon, Lilac and Peach may be used on Eyes and Face. 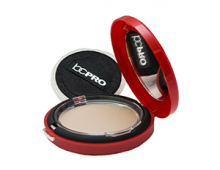 Use it on the eyes alone to achieve a soft, glowing effect. 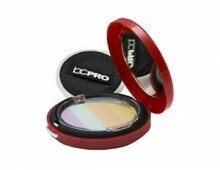 Wear over Deluxe Eye Shadows to add extra light or shimmer. Try mixing the Pink and Peach for a perfect eye lid color. Apply Lilac in the eye contour to softly intensify eye contour. Highlight with Chiffon under and over the eye brow as well as top of cheek bones. 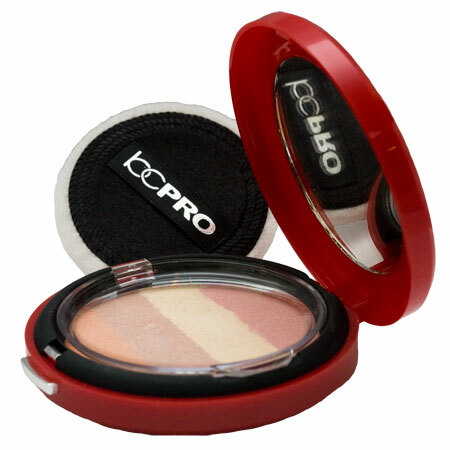 Unleash your personal creative genius and have fun creating your own color combinations for fresh, pretty eyes, cheeks, and face in an instant.